Victoria Secret model Elsa Hosk was pictured while leaving the Greenwich Hotel in New York City a few days ago and getting into her car. Elsa wore a pair of RE/DONE Levi’s The Elsa Jean which look like they were customised at the bottom to create a slight flare. Usually we see flares or bootcuts starting from the knee or mid calf, but this is an interesting choice to have it just at the ankle. It creates a great silhouette. Buy Levi’s online at their website. Known for their vintage inspired styles, the Rascal Slit Undone Hem by MOTHER carries the same attitude as Elsa’s namesake style in their signature super soft fabrics. GRLFRND is known for getting all of us nostalgic for the ’90s with their styles and their Natalia jeans have a look as though you have been searching every secondhand shop for. COTTON CITIZEN is known for spinning the classics upside down and turning them into fresh new styles. Their High Split is a form fitting take on the jeans that even Elsa herself will love. 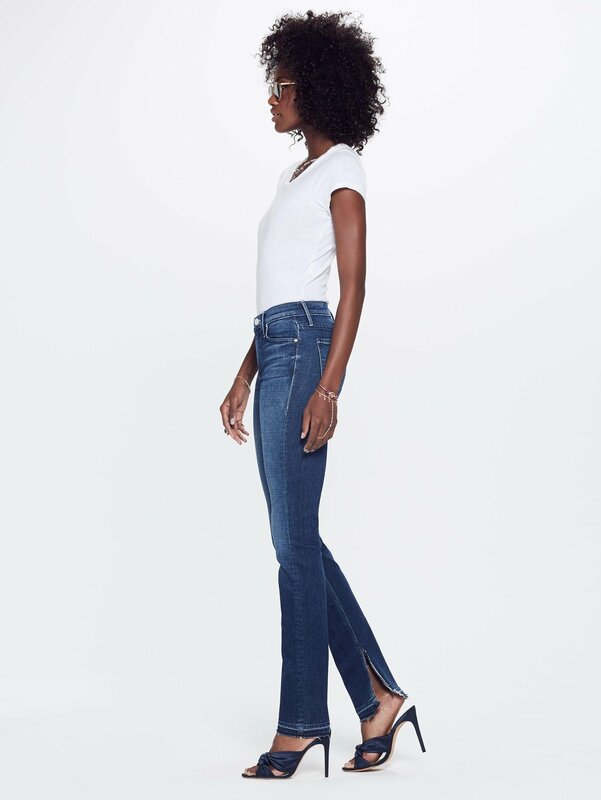 RAG & BONE offers a clean black take of the split jeans that will allow you to get away with wearing to the office.